We hear a lot about offshore accounts thanks to news stories about unethical politicians or companies and their corporate officers that have been charged with tax fraud. The stereotype is that people open up bank accounts in places that either allow them to hide their money or to avoid paying the taxes they owe. Some of the popular places that are referred to include the Bahamas, the Cayman Islands and Switzerland. The reality is that an “offshore account” is one that is open anywhere outside the United States. You can have an “offshore account” in Canada, though few people think of our neighbor to the north as a haven for criminal activity. The reality is also that these accounts are not always open for the purposes of illegal activity, nor are these accounts inherently illegal. In fact, there is nothing illegal about the accounts themselves. The criminal activity arises from how these accounts are used. Many people open up offshore accounts in places that have more favorable tax laws. For example, they open a savings account in a place that does not charge tax on the interest. Others may choose to invest in foreign countries that do not charge taxes to be paid on the gains (or that charge lower taxes). In fact, many foreign investors operate in the United States because they enjoy tax-free gains. The U.S. offers this benefit to foreigners to encourage outside investment in our economy. However, remember that as a U.S. citizen, you are still taxed on your worldwide income. Some people also open up offshore accounts so that they can protect their wealth from liability. For example, if someone is sued, their assets can be seized to pay the judgment. However, if their assets are overseas, they may not be able to be seized. Others may open offshore accounts because they want to keep some of their wealth private. There are legitimate reasons for wanting to do so, such as minimizing the attention one gets for having excessive wealth and making oneself less attractive to scam artists and the litigation-happy. Offshore accounts exist for a number of reasons outside of illegal activity, and any person can open an offshore account, regardless of personal wealth or connections. The reason that offshore accounts get a bad rep is that many people take advantage of their low-tax benefits or hidden information to skirt their obligations at home. It is illegal to use an offshore account to avoid your tax obligations in the United States. For example, if you do not report the earnings you are making on these offshore accounts on your U.S. tax return, you may be committing tax fraud. Or if you are putting assets in secret accounts and are not disclosing those assets, you may be committing fraud. Any time that you intentionally fail to report all the income and assets that you are required to report to the IRS, you are committing fraud. That is true whether you are using an offshore account or some other means to hide your activity. You might be able to use offshore accounts to minimize your tax obligations, but there are ways to do so legally. Hiding or misrepresenting your activity is not the way to do it. Work with an accountant or tax lawyer in Phoenix to develop a foreign investing strategy that will offer tax benefits while also ensuring that you are not breaking any laws. You may think that you are getting away with your activity by using an offshore account, but the risk is too great. If the IRS finds out about your activity — and they almost certainly will — you may face large penalties, in addition to potential prison time. If you have been charged with tax fraud or other illegal activity as a result of your offshore dealings, you need to work with a criminal tax lawyer to fight the charges. 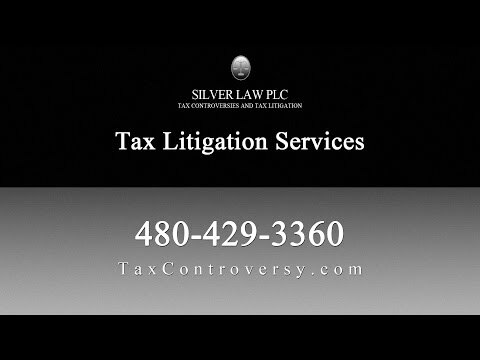 Silver Law PLC in Arizona has the experienced criminal tax lawyers to help you. Our team has represented clients in both criminal and civil tax litigation, including cases involving foreign accounts. We can help you understand your foreign tax reporting responsibilities so that you avoid any criminal charges, or we can help build a case to defend against these charges. Call us in Arizona today to work with a criminal tax lawyer.